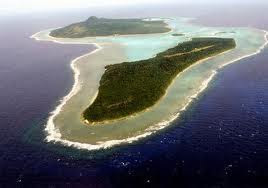 Another privately owned island in Fiji is up for sale to international bidders. The website, Luxury Real Estate.com, reports that the island of Vatu Vara also known as "Hat Island" for its distinctive flat summit, is being sold for US$75 million. The island which is 2 miles in diameter lies 60 kilometers south west of Vanua Balavu in the Lau group and is classified as freehold on the website. The sale of privately owned islands in Fiji could be a major topic of discussion at the upcoming Lau Provincial Council meeting this week. This comes after confirmation that the island of Vatu Vara or Hat Island is up for sale with a price tag of $75 million US dollars. It has been confirmed that while the matter is not on the agenda, members of the Lau Provincial Council are likely to raise the issue as there have been some concerns about the sale of islands despite the fact that it is classified as freehold. The meeting gets underway on Wednesday at the Fijian Teachers Association Hall. Luxury Real Estate.com reports that Vatu Vara island, 60 kilometres South West of Vanua Balavu is 2 miles in diameter and is one of the few freehold islands remaining in Fiji.